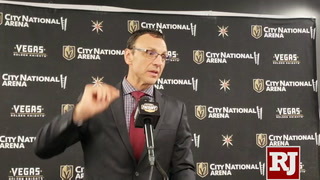 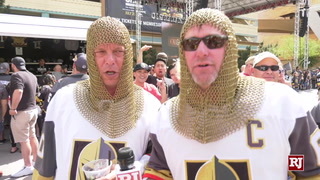 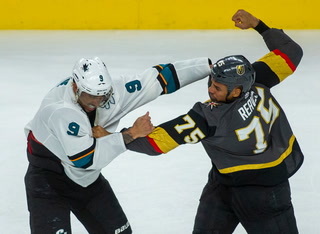 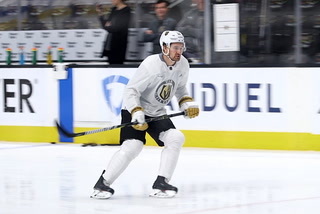 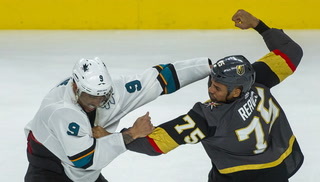 The Golden Knights have won three straight games and showed during that four-day stretch they can adapt to any style. 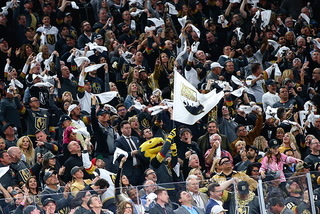 The Golden Knights have earned the mythical label of “team nobody wants to meet in the playoffs” thanks to their play over the past 10 games. 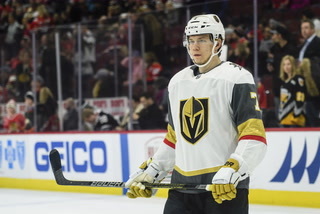 But it’s not just the fact the Knights are winning (9-1 since the trade-deadline acquisition of right wing Mark Stone). 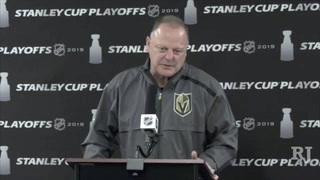 It’s how they are winning that bodes well for the postseason and is putting fear into the rest of the Western Conference. 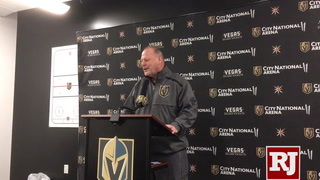 The Knights have won three straight and showed during that four-day stretch they can adapt to any type of game. 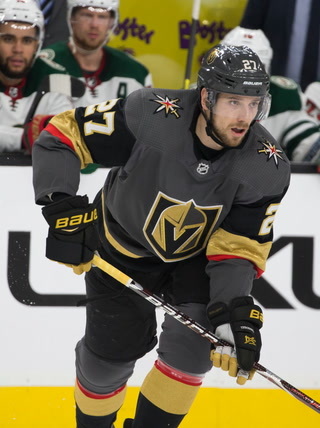 On Friday, they gutted out a 2-1 victory at Dallas in a classic, tight-checking battle that featured few grade-A scoring chances on either side. 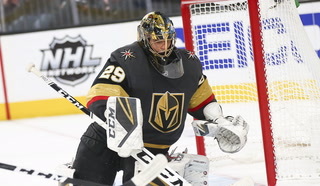 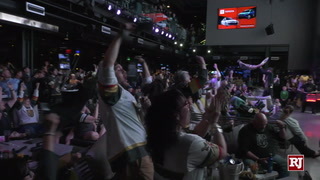 The Knights abused goaltender Mikko Koskinen’s glove hand and wore down Edmonton in the third period of a 6-3 win Sunday. 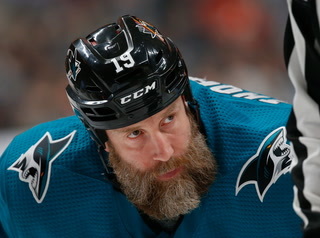 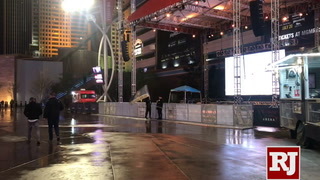 Then, they squealed the tires and left skid marks in front of SAP Center as they blew past San Jose 7-3 on Monday. 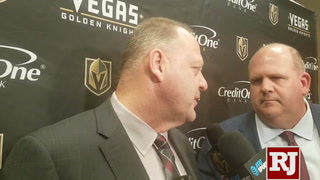 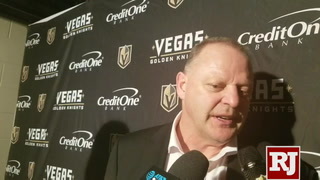 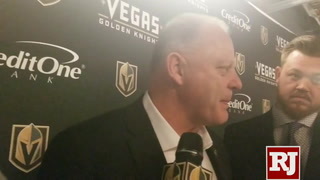 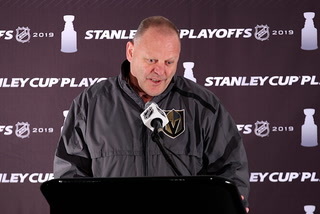 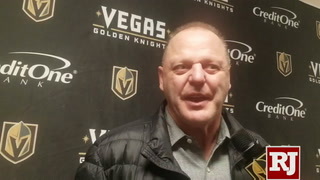 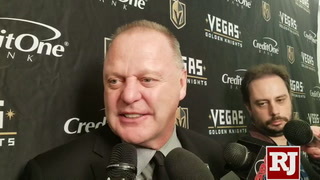 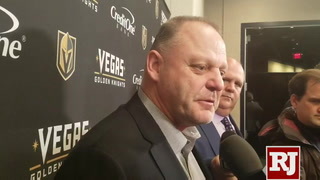 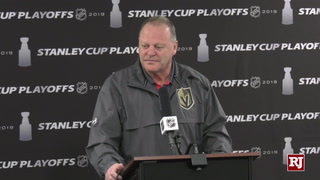 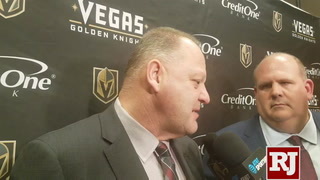 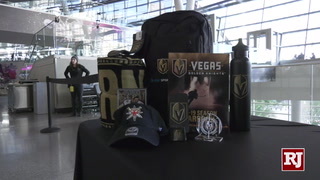 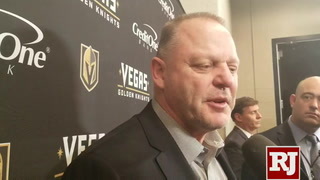 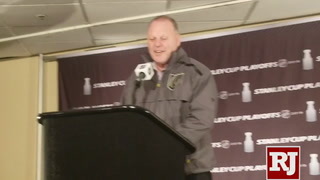 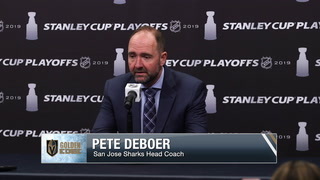 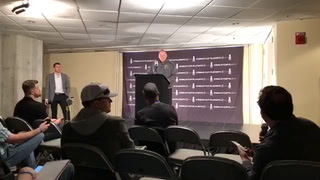 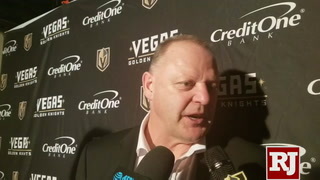 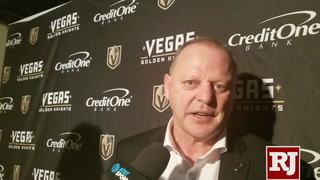 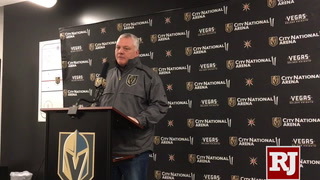 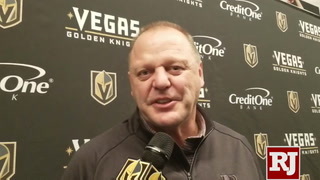 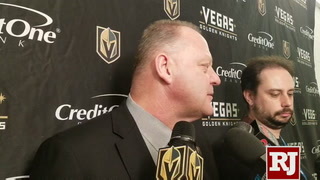 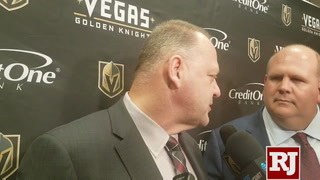 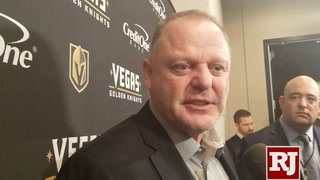 Coach Gerard Gallant said following the win in Dallas that he didn’t want the Knights to be a “high-flying team” and would prefer they continue to grind out victories. 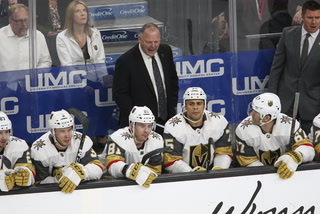 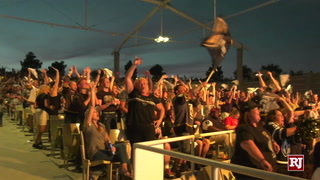 The Knights struggled to produce goals for much of the season despite the league-wide rise in offense. 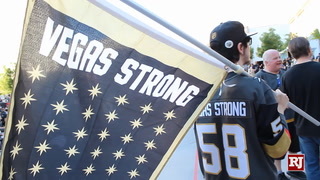 Entering Tuesday’s games, the Knights were 11th in goals per game at 3.07 after finishing fifth last season (3.27). 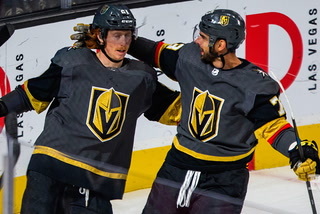 But their 2.75 goals allowed per game is almost identical to last year (2.74), and that’s helped to forge a new identity for the Knights. 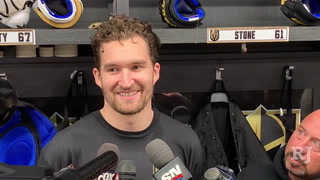 “I feel like last year, when you’re scoring that many goals that consistently, you can play that style. 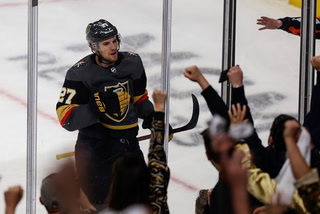 This year, we’ve played a little bit tighter,” defenseman Shea Theodore said. 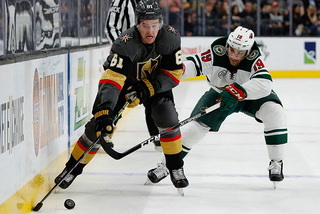 With Stone added to the lineup, the Knights now have the forward depth to match the firepower of Calgary and San Jose, potential playoff foes. 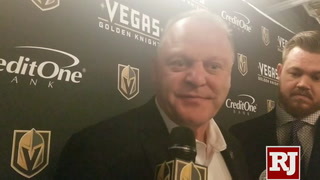 The Knights scored four goals or more in five of their past 10 games and have a plus-20 goal differential since the trade deadline. 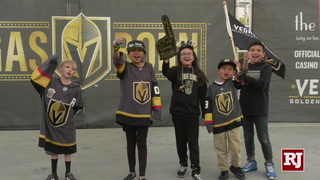 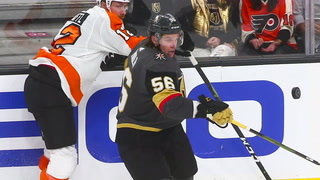 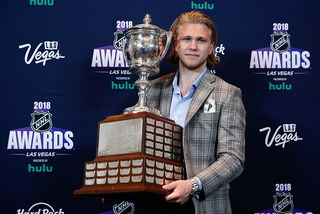 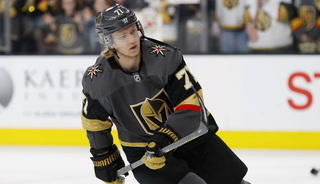 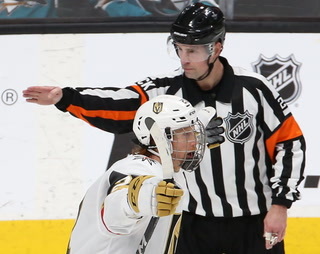 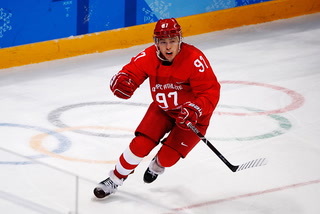 The first line with center William Karlsson, left wing Jonathan Marchessault and right wing Reilly Smith has combined to produce 28 points (nine goals, 19 assists) in March. 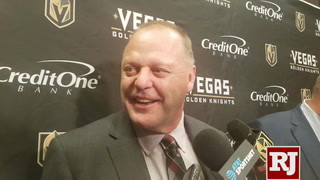 Defensively, the Knights have allowed 22 goals since the trade deadline, and half of those came in two games against Florida and Calgary. 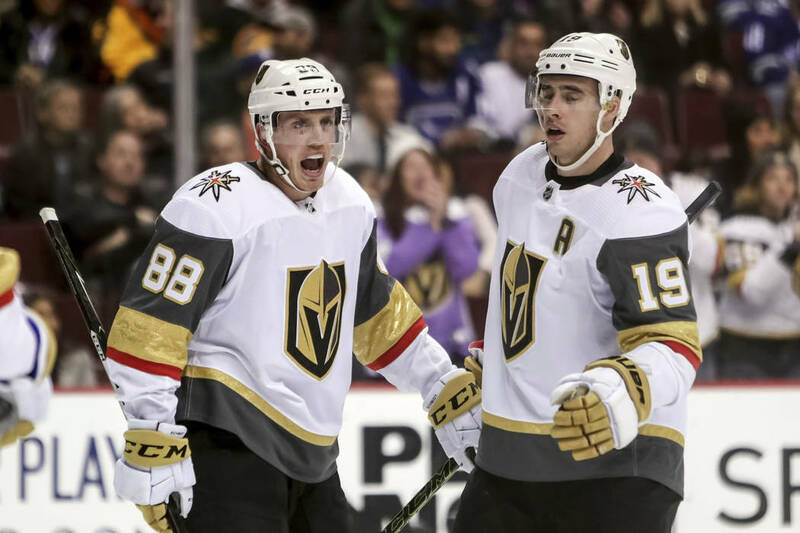 The Knights will have to adapt again Thursday when the high-scoring Winnipeg Jets visit T-Mobile Arena.